Here are eight charities and private businesses' New Year PR campaigns. The first two are charity-related options for non-drinkers. Dryathlon is the campaign by Cancer Research UK that challenges people to have an alcohol-free January while raising money to beat cancer. This year, the campaign created by advertising agency Karmarama will appear across TV, radio, digital and social media. Featuring a specially written song, it encourages people to have fun in January while sober. Separately, Alcohol Concern has launched Dry January. Now in its fourth year, this is the first time the campaign has official food and drink partners including restaurant chain Strada, which has added a range of alcohol-free beers and wines to menus in support of the campaign. The charity is encouraging its Dry January participants via social media. The gym chain has launched a series of emojis to help gym goers express themselves on social media. The gym brand has created 33 emojis depicting exercises such as squats, burpees and different classes available at the gym chain, as well as post-gym relaxation in a hot tub. 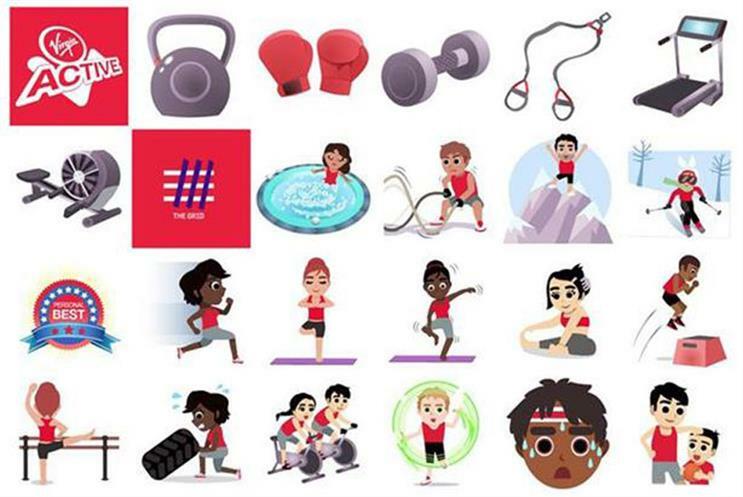 The emojis were created by Swift Media as part of the Virgin Active 'We’ve got a workout for that' campaign by Iris. Click to read more. MaxiNutrition has launched its 2016 campaign today called ‘It's Not For Everyone’. The campaign includes a video available on YouTube, starring boxing champion Amir Khan, that aims to enforce the idea that the protein-led nutrition company is a choice for those who know there is no substitute for hard work and dedication. The company will also be launching its first Street Gym event in London this year, creating an outdoor urban gym open to members of the public. Thomas Cook has launched two TV adverts as part of multi-channel campaign Leave It To Us: You’re On Holiday. The new 30-second adverts Be Lazy and Go Crazy debuted on Boxing Day and focus on people being "whatever they want to be" while on holiday with Thomas Cook. The marketing campaign launched across all channels in mid-December last year as the peak holiday booking season for summer 2016 approached. On 17 December the travel agent debuted a 30-second ad spot in cinemas across the country just after midnight at screenings of Star Wars: The Force Awakens and TV ads followed on Friday 18 December. The campaign runs across numerous communication channels such as radio, advertising, direct marketing, online marketing and social media. Children's charity NSPCC has teamed up with tech company O2 to launch New Year campaign Let’s Keep Kids Safe Online. The campaign is part of its net awareness project and is targeted at parents with children between the ages of eight and 12. It provides parents with a step-by-step guide to keeping their children safe on the internet by helping them understand what their children do online, the risks they face and how to prevent them. It provides a list of popular social network sites often used by children such as Facebook, Twitter, WhatsApp, Instagram and Snapchat and gives parents a chance to learn about each. A tonic to Dry January and Dryathlon, Tryanuary is a campaign encouraging the nation to try, share and enjoy new beers and brews throughout the month of January. The campaign's second edition features a social media competition on Twitter, Facebook and Instagram giving one lucky participant a chance to win all of the different beers tried. It was launched by Manchester-based beer fan and blogger, Andy Heggs, using the hashtag #tryjanuary. It works in tandem with various brands and charities – with partner organisations offering discounts on purchases when made alongside contributions to regional and national charities. Kwik Fit has introduced a free 30-minute fitness class to help customers shift their Christmas 'spare tyre' with the help of spare tyres. The light-hearted campaign sees real Kiwk Fit technicians working alongside personal trainer Mikah Simpson in a fitness routine using only car tyres, burning up to 1,200 calories. It also features a YouTube promotion poking fun at New Year diets and encourages social media interaction with the hashtag #FitKwik. Click to read more.